Michael Dooney has always been closely associated with Mirage Studios and the Teenage Mutant Ninja Turtles. Over the years, his creator-owned character, Gizmo has starred in three different series and Dooney’s recently provided some wonderful paintings for the TMNT series of the early 2000s. 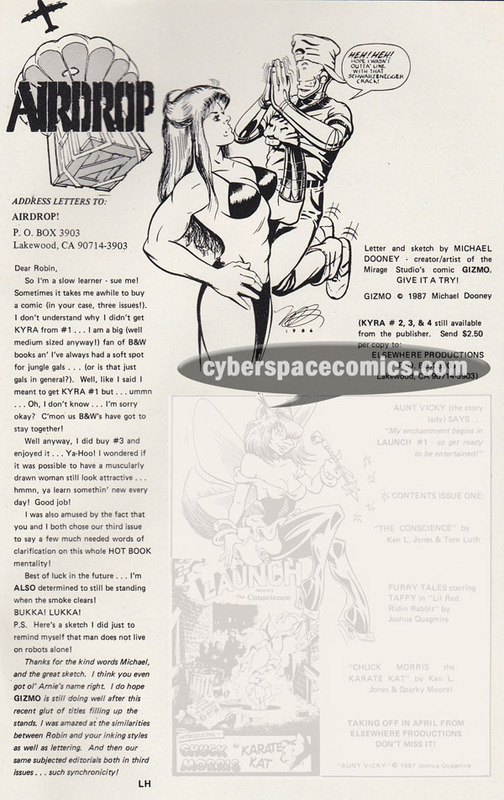 Dooney got a letter printed in Kyra #5 (cover date – Summer 1987) and included a sketch of Kyra and Gizmo.